High-performance technologies for medical imaging. Medical equipment providers are challenged by a rapidly evolving market to deliver solutions that are innovative, meet regulatory requirements, and stand the test of time. Radisys design, development, and manufacturing expertise combined with key vendor partnerships produces medical appliance products optimized for medical imaging and surgical equipment. The Radisys MWS-4810 Switch delivers 48 ports of 10 Gb Ethernet connectivity in a compact design tailored for the space constraints found in the medical imaging architectures of the world’s leading medical OEMs. The RMS420-C600 Server combines two 2nd generation Intel® Xeon® Processor E5 Family CPUs with very high memory bandwidth and exceptional I/O capability. It is optimized for applications requiring low noise and high parallel processing. 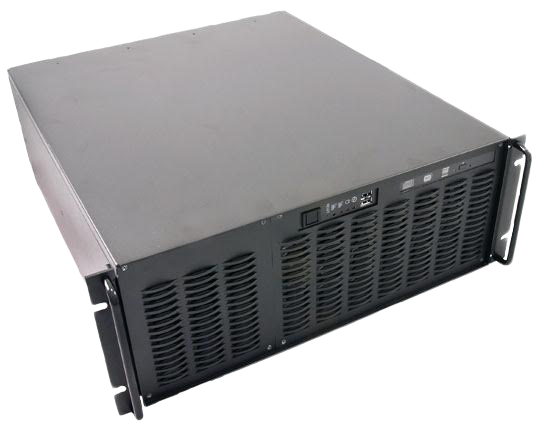 The RMS420-5520DT is designed for compute-intensive applications requiring parallel processing. This medical appliance server combines two of state-of-the-art Intel Xeon multi-core processors with very high memory bandwidth and exceptional I/O capability. The RMS420-Q35JD embedded medical appliance server is a flexible and scalable platform that offers high levels of performance at a reasonable price.